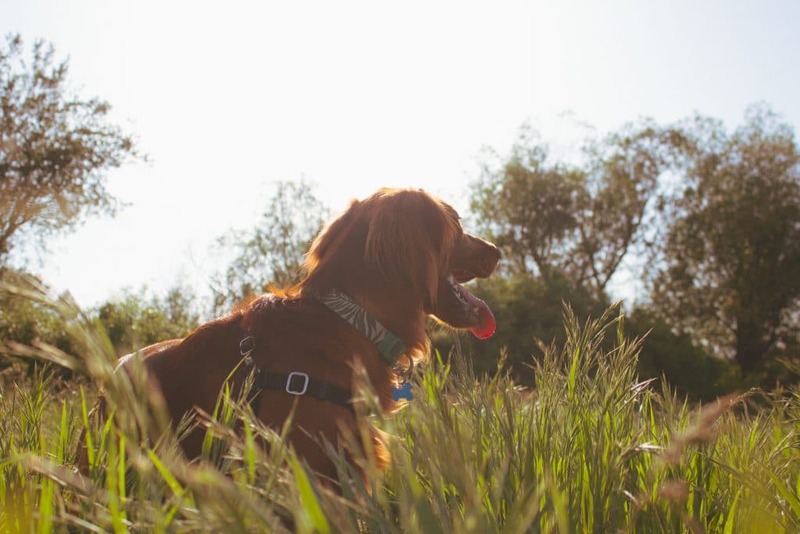 Do you think your dog would make a great trail dog? 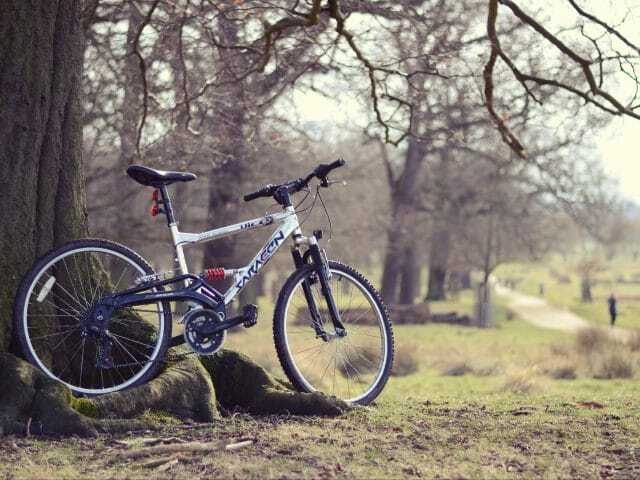 With some time and training, many dogs can enjoy a day out on the mountain bike trail with you. It takes some focus and some energy, but your best friend can accompany you on all of your adventures. Your dog doesn’t have an instant recall word that will make him stop and turn around, no matter what he sees or smells. Your dog is old or has a physical disability. Your dog is out of shape. There’s no water on the trail for your dog. The trail doesn’t allow off-leash dogs. Your dog doesn’t get along with other people or dogs. You don’t know how long a trail is or how long you’ll be out. Your dog is too small to keep up with you. It’s never worth putting your furry friend in danger. Be judicious about when you take your dog out and when you leave him home. That way, you can ensure everyone always has a great time. If you want your dog to be comfortable around mountain bikes, start introducing him to them as soon as possible. If you rescue your dog or end up with an older dog, know that it might take him longer to get used to bikes than it would have if you started him as a puppy. Start by having your bike in the house. Show your dog how it moves around by wheeling it around at home or in your backyard. Let the dog investigate the bike and get used to having it nearby. Next, take your bike on walks. Start by walking it. Slowly transition into riding it while your dog is on a leash next to you. Never attach the leash to your bike. Ride slowly and allow your dog to get accustomed to running alongside the bike. 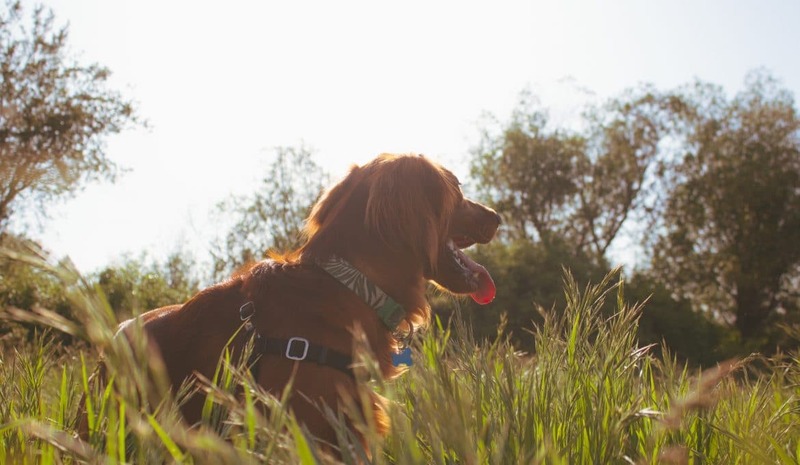 When your dog is ready, try him off leash on some local trails. Having a dog that will come back when you call is at least as important as having one who is comfortable around bikes and knows what’s expected of him on the trail. It might help to train your dog to an unusual recall word. 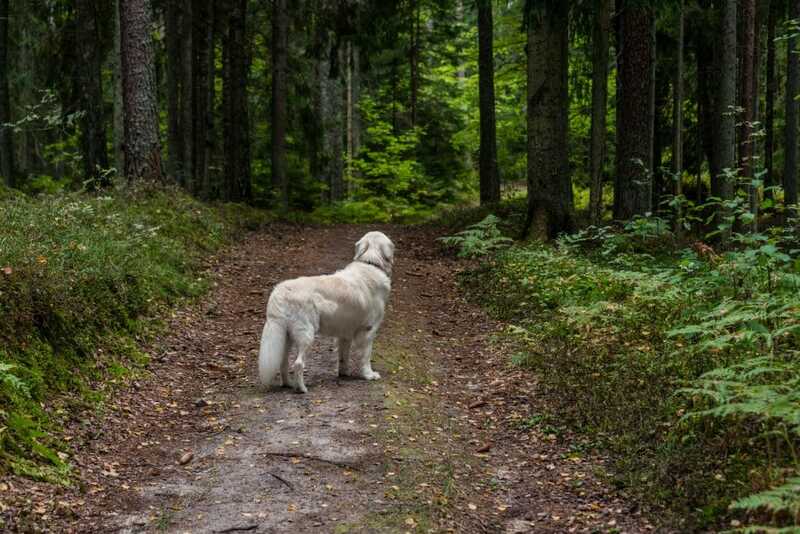 That way, he won’t get confused if there are other dogs and owners on the trail. Make sure that you have tested his recall in a variety of situations before you take him on a trail. After all, there are all sorts of crazy scents out there, and you don’t want him haring off after a rabbit or getting scared and running away. Make sure that your dog comes every single time you say your recall word, or you could end up with a big problem on the trail. Your dog needs to be in good shape, just like you. It might seem like he has endless energy, but the truth is that he doesn’t. He may be willing to push himself for you, but you don’t want him to have to do that on a long trail ride. Start by taking walks with your dog. Add in running. Have your dog run as you bike to make sure he can keep up. Keep going over your desired distance to help build him up. Make sure you’re feeding your dog enough for the amount of work that he is doing. Just like you are hungrier when you expend more calories, your dog will need to eat more when he exercises more. Talk to your vet if you’re not sure how much to feed your dog or how to change his food on training days. When you think your dog is ready, take him out for a ride alone. Choose a trail that doesn’t get much traffic and that will be easier than what your dog is used to. Ride slowly and keep an eye on your dog the entire time. 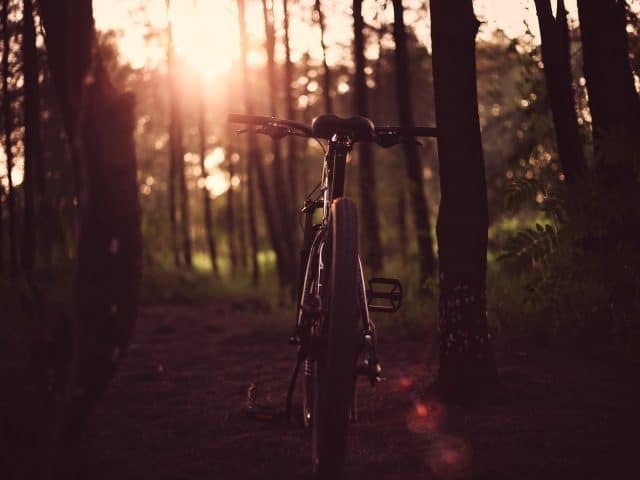 Make sure the trail doesn’t get so challenging for you that you can’t focus on him for the duration of the ride. Cut your ride short if things don’t go the way you had planned to, and return home for some more training. If your solo ride goes well, try riding with a friend next time. 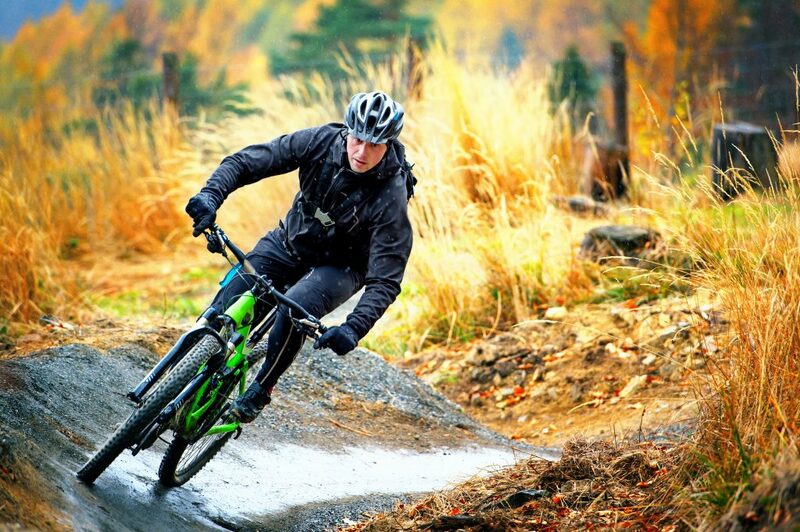 Gradually work your way up to longer rides on busier trails. Take your time and don’t push your dog too far, or you might end up undoing some of the training that you’ve worked so hard to achieve. 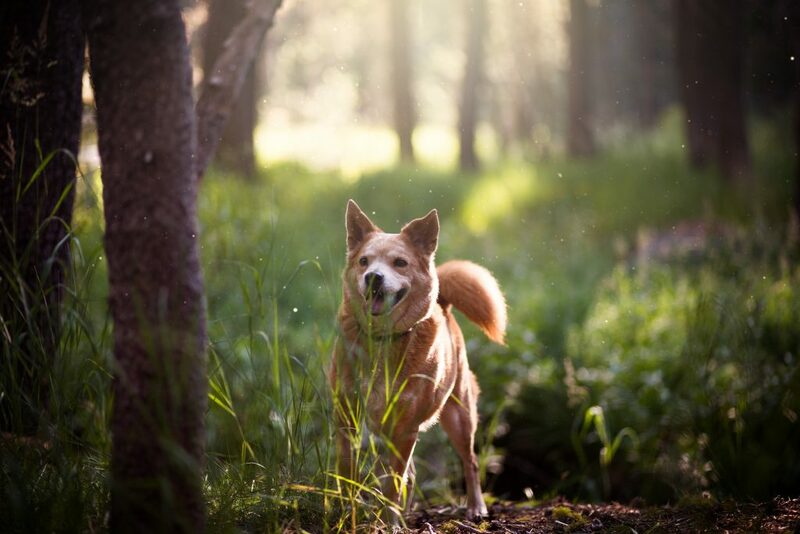 Little by little, your dog will learn how to be the trail companion you’ve always wanted him to be. Most dogs can be great trail dogs if given the right training and plenty of chances. Approach your training systematically and give your dog time to learn what you want him to know. Then introduce him to trails slowly until he can keep up with you on all of your rides. Have anything you would add? Leave a comment below!